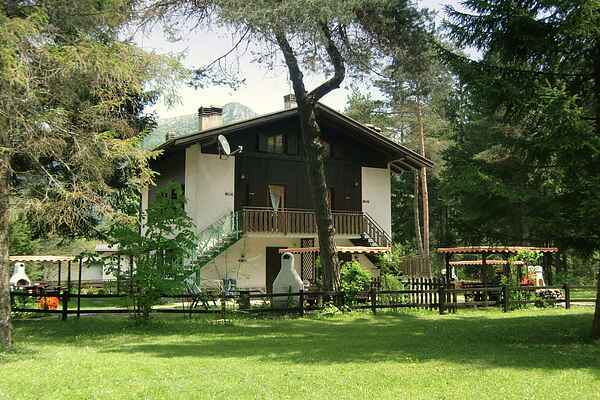 This house is located in the beautiful surroundings of Pur, located just 150m from the Ledro lake. Via a private road can be reached in a short time on foot to the beautiful sandy beach. The house consists of four separate apartments (which here are offered jointly), each apartment has a private terrace with tables and chairs. There is also a large communal garden complete with children's play equipment and a BBQ. In the basement of the house you will also find a washing machine you can use and a space for placing your bike.